women Archives - KB Concepts P.R. Arlington Women Entrepreneurs are AWEsome! Like many business owners in my community, I have been active in the local Chamber of Commerce and Leadership Arlington for several years, and participate in numerous other networking events on a regular basis. In the last couple of years, I’ve been struck by how many really terrific women with great business ideas have taken the plunge into entrepreneurship in just our small community. Because I feel such a kinship with these women, I’ve enthusiastically patronized their businesses, referred others in my networks to them, and in several cases helped with their P.R. and marketing as they launched or revamped their businesses. But this year I felt like we needed to do more to support these fearless, hardworking and yes, sometimes overwhelmed women. And that’s how Arlington Women Entrepreneurs was born. AWE is a networking organization for women who own and operate a business in Arlington. 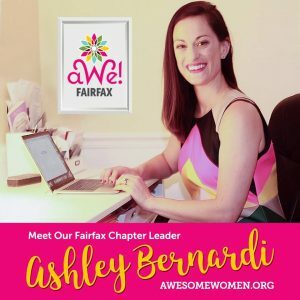 This hyper-local, women-only group provides something unique — not better, but different than the many other networking groups and events we also attend. AWE creates an intimate social space where busy women business owners can share their stories and experiences, have some laughs and inspire one another. The meetings take place in members’ homes. We cap attendance at 30 women, which encourages members to host, and allows participants to really connect with almost everyone in the room. Each meeting includes a speaker who provides a brief presentation on relevant topics. After the presentation, each member introduces themselves, tells a bit about their business, and often their personal story of how they became an entrepreneur. I think we have all been amazed at the variety and depth of experiences these women have had, and at the same time marvel at the universality of our shared experiences as entrepreneurs. Are we anti-networking with men? Of course not. We do see the value in sometimes networking women to women as well. Since our first meeting in March 2014, AWE members have collaborated, referred and hired one another in impressive numbers, and grown the organization through word of mouth only. Happily, this model seems to be a welcome addition to our networking choices: We now have 65 members and the numbers are growing weekly. And we aren’t alone. Dell has a Women’s Entrepreneurship Network, as does the Wall Street Women’s Forum. These group, like ours, recognize that in some key ways, women do network differently when they are together. They mentor, support, refer and use the all important phrase, “Use my name,” to open doors and make connections for their female colleagues and friends. And most of all, we have fun — we relax, admit our mistakes, cheer one another on and laugh — a lot. “I honestly think this is the most fun I’ve ever had at a networking event,” said jewelry designer Ruth Barzel after her first meeting in May. We launched AWE’s website this week — thank you Evelyn Powers of Design Powers! — which includes a member only directly of 65+ businesses with contact information and links. We also have a Facebook group page where members share good information and news about upcoming events of interest to entrepreneurs. If you are or know a woman who might be interested in learning more about AWE, please share this post. We plan to cap the total number of members at 100, so those members who want to attend meetings do not get shut out. I for one am very excited and looking forward to all sorts of AWEsome adventures ahead.